It looks like we have another chance to review another fine Beyerdynamic product with the DT 240 PRO. By now, I have lost track of how many of these headphones or earbuds that I have reviewed, honestly. So, where should I start? I mean, I know that these headphones are surely made for professionals, but hey, they are made so anyone can use them. It has the over-ear design, and these earcups are made for comfort. But hey, all that really matters about any pair of headphones or earbuds is the sound, right? Well, this has studio-grade reproduction, so you know that it is good. We are looking at clean, deep bass, plus a vivid midrange and precise treble as well. Not only is the sound great, but there is also some great isolation to keep out background noise for minimal sound leakage. It feels like it has been made for podcasters, so I suppose that is the intended audience for the DT 240 PRO. I mean, it has PRO in the title so it must be made for professionals. What I am not seeing on this is a gooseneck microphone, and I am quite surprised. I know that it isn’t wireless and all, but hey, the Beyerdynamic DT 240 PRO is something. 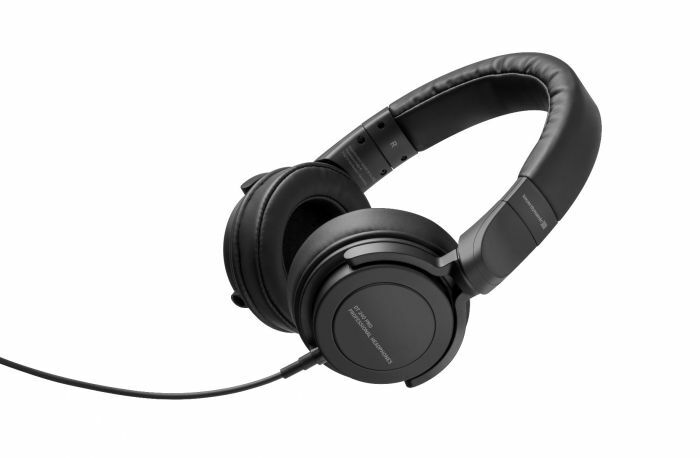 It is available for purchase on the Beyerdynamic site for $99.99, which is a fair price for what you are getting, in headphones terms.